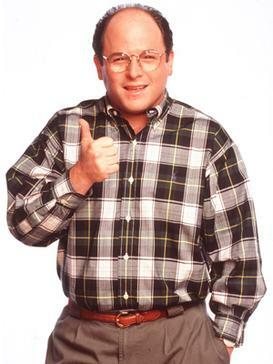 Harry Reid negotiates the George Costanza way, as they do in Seinfeld’s Bizarro World. Reid, the Senate majority leader, reached an accord with Minority Leader Mitch McConnell on Jan. 27, 2011, to retain the filibuster power that Republicans earlier employed to block any kind of government-run health-care system and persist with tax cuts for the wealthy. Reid and Mitchell’s pact allows Republican senators to submit nearly all the amendments they want to a given measure, and in return Republicans will limit their use of the filibuster. Merkley’s fears were realized on Tuesday, May 17, 2011, when Democrats proposed ending tax breaks for five major oil companies accused of unfairly padding industry profits, according to The New York Times. The measure would have passed if a majority vote was sufficient, but the 52-48 vote fell short of the 60 votes required to end debate. Even more deplorable developments swiftly came to light. Senate Republicans have blocked the confirmations of a wide range of presidential nominees, prompting two of them to withdraw their nominations. The same GOP senators also refused to reauthorize a 46-year-old economic program which they automatically supported in the past. On the day after the oil subsidy vote, Reid issued a fundraising e-mail distributed for the Democratic Senatorial Campaign Committee in which he complained: “It’s a no-brainer: Big Oil doesn’t need taxpayer subsidies. After all, the five largest oil companies raked in profits of $32 billion in the first quarter of 2011 – while Americans are paying four bucks a gallon at the pump. And yet, they continue to collect billions in tax dollar handouts at a time when we need to cut spending. Another “no-brainer”: Big Senate doesn’t need a filibuster. Four months ago, Reid “derailed a Democratic bill that would end this double-fisted” power grab and save us all lots of aggravation. Any senator can filibuster, or threaten to filibuster, proposed legislation without taking to the floor to make their case, as James Stewart did in the 1939 film Mr. Smith Goes to Washington . The Senate needs 60 votes to end a filibuster, not a plain majority of 51 votes. The process is called cloture. The trio pressed for a resolution to require that all senators who invoke the filibuster must address the legislation on the floor. Most Democrats voted for the measure, but it could neither get past the 67-vote barrier nor even a majority vote. On a typical day, you can compare just about any antics in the Senate to Jerry Seinfeld’s Bizarro World. Seinfeld fans should recall that George spoiled their talks with NBC to produce a show about “nothing” because he was aggrieved that their $13,000 offer fell way short of Ted Danson’s package. Once the magnitude of his blunder dawned on him, George begged for reconsideration. NBC offered $8,000 this time. Or how Harry Reid negotiates in the Senate. Reid has worked hard to press for legislation that would benefit the public, but how does it help anyone to hand the Republicans a decisive weapon like the filibuster? Why? Reid in the past defended the filibuster when Republicans controlled the Senate, and Democratic senators feared losing this device if they return to the minority. Democrats also might have feared that they would be demonized by the Republicans if they curbed or ended the filibuster. Democrats might have sustained some political damage in the short term, but they would have ensured themselves a level playing field if they took decisive action against the filibuster. Reid’s negotiating style reflects the operational patterns in the Senate, which can also be known as Bizarro Washington World. You cannot pass a measure with a majority vote, but 41 votes – or 41 percent – can be allowed to obstruct legislation? When Harkin, Merkley and Udall sought to revise the filibuster rule, three of their GOP counterparts intent on retaining the filibuster proved that Jimmy Stewart’s legacy for his classic, fictitious filibuster is safe. The day prior to the debate, Tennessee Sen. Lamar Alexander recited a quote from Mr. Smith Goes to Washington at a Heritage Foundation function on Jan. 4, 2011, that the filibuster gives a senator “the right to talk your head off.” Alexander lied his head off when he claimed that the Affordable Care Act was “rammed through” the Senate in March 2010. Obama and congressional Democrats repeatedly reached out to Republicans and watered down the law in hopes of ending their filibuster. Alexander contended that a 60-vote threshold to end debate allows for a “consensus” among senators so that legislation has more broad-based support. The price for this consensus is weakening laws so they provide minimal aid to average citizens and give business interests hefty concessions. Many jobless citizens received unemployment pay for the next 13 months because Obama acceded to Republican demands in December, 2011, to continue tax cuts for the wealthy another two years. Both Alexander and former Sen. John E. Sununu (New Hampshire) suggested that the Constitution’s framers created the filibuster. As Harkin pointed out, the Constitution authorizes each chamber to make its own rules, not establish the rules itself. Their suggestion was made during Alexander’s televised remarks and a Boston Globe commentary written by Sununu. Also on television, Pat Roberts of Kansas rambled on for several minutes, recalling that Democrats opposed filibuster adjustments when Republicans controlled the Senate. That must mean that two wrongs make a right. The filibuster issue surfaced in the public consciousness as Republicans employed the filibuster to obstruct Democratic legislation, particularly the health-care plan and elimination of tax cuts for the rich. Earlier in 2010, hearings on the filibuster rule were held before the Senate Committee on Rules and Administration. Had Alexander, Roberts and Cornyn followed the proceedings, they would have learned much about the history of the Senate where they have served for a combined 30 years. Click here for his earlier work for the Philadelphia Jewish Voice.